Another amazing Capcom arcade game from around the time Black Tiger came out is Strider… Featuring the amazingly badass main character called Hiryu (STILL one of the most badass video game characters even today) that actually first appeared in manga (even though the manga was joint effort by Capcom and Kadokawa Shouten), Strider is a really fun, if difficult (it’s arcade, duh) action game. 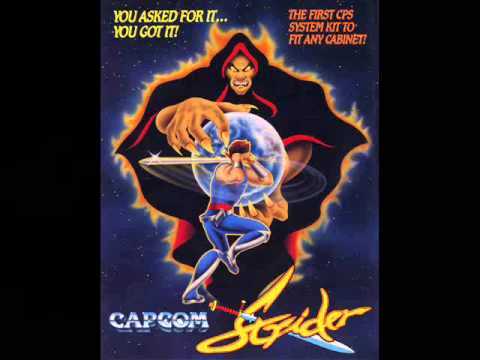 Capcom’s arcade games have also been known for really good music, and Strider is no exception. For today, I picked the theme from the snowy second stage of the game. Indeed, it’s just a ~15-second looping sequence, but the atmosphere its simple composition creates is impressive.